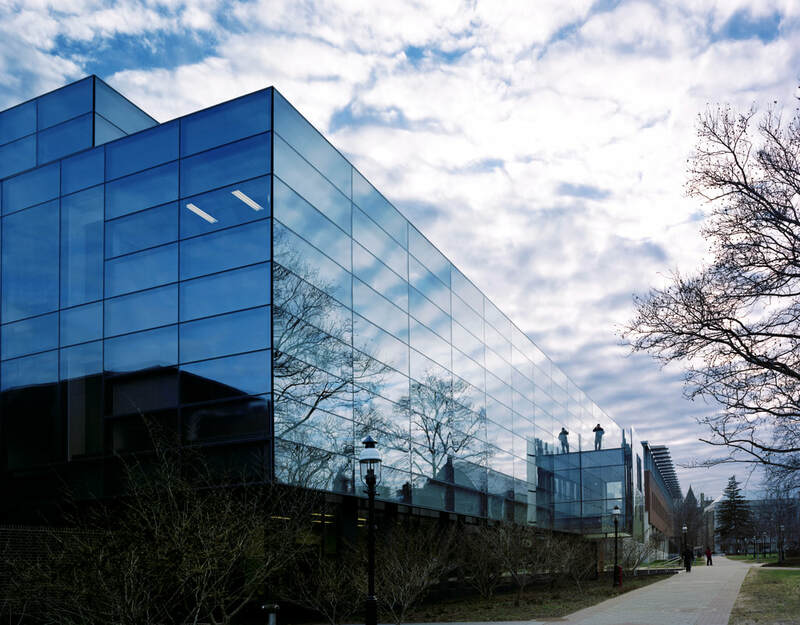 For Princeton University's Sherrerd Hall, AWS designed, engineered and manufactured the factory-glazed, unitized curtainwall system, unitized storefront system, balustrade glass hand railing system, zero sightline doors, and exterior aluminum doors. The curtainwall glass features a custom frit pattern on the #2 and #3 glass surfaces. ​We also supplied the skylight system, perforated soffit panels, interior stairwell and atrium railing system. The interior atrium railing was custom-designed specifically for this project. 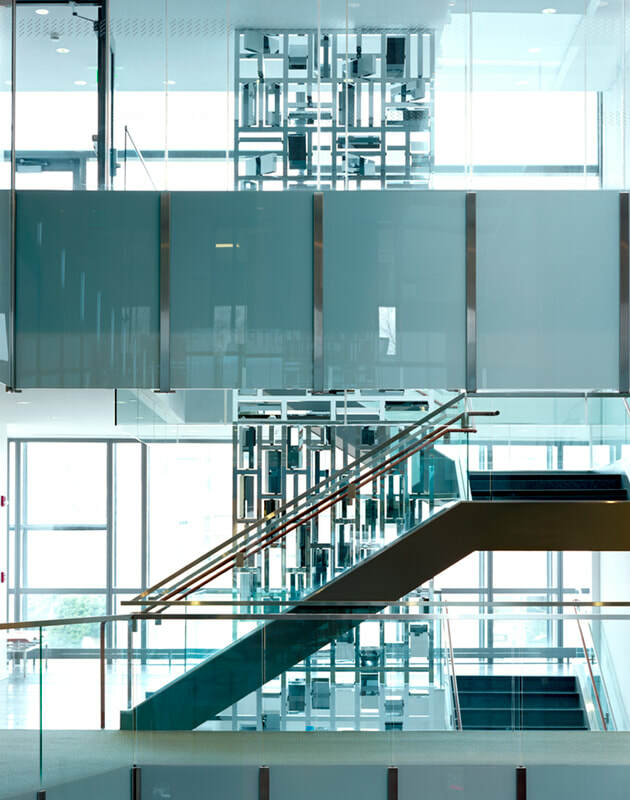 The atrium also boasts 8-foot and 12-foot tall glass with a frost pattern covering half of the glass lite.